Well I suppose I should stop being in denial about my outfit photography being, er, noticeably lower-quality than that of the blogs I was reading in 2008 or so. (I'm mainly thinking of the super-cool Fops and Dandies, who took the best mirror selfies in a time before selfie was a word. 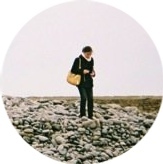 I miss her blog to this day.) Also, happy Thanksgiving to those in the US! I'm fairly certain that my only Black Friday sales shopping plans are entirely online and only for gifts for others this year, because well, I've spent plenty on myself this fall/winter already. This has been an incredibly spend-y month for me. I blew past my monthly budget number when I bought the Everlane Trench and then I just kept on going by buying the Elie Tahari Paula down coat (on super-sale from Bluefly with an additional percent off coupon on top, but the current Bloomingdales price on top of their Thanksgiving sale will get you close to the price I paid). I stayed under budget for quite a few months this year, so I can actually overspend in December without going over my limit for the year, but I hope to do minimal shopping between now and New Years. This isn't the down coat I thought I would buy. I was envisioning something more utilitarian, and likely in an olive green, which would match my brown L.L. Bean winter boots well. Honestly, the main factor in my decision to order this for trying on was the dramatic discount, which isn't a particularly wise starting point for any shopping decision. I ended up paying around $220 at Bluefly with tax and shipping included, which is a little less than I likely would have spent on the North Face or Columbia coat I originally planned on and certainly much less than this coat's $550 full price. (The best price outside of Bluefly is currently $330 at Bloomingdales, $275-ish with the Thanksgiving sale code.) I took it out for a road test this past Tuesday, one of the first truly cold days in this unseasonably warm fall we're having in NYC. 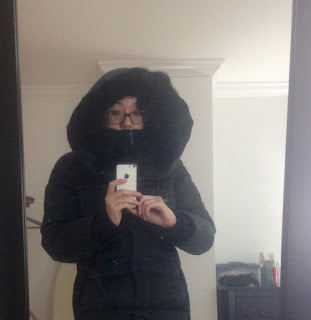 For context, I'm not actually particularly picky about my winter coats. I picked out the Larry Levine one I've been wearing for the last three years (in different color) on sale from Amazon with the moderate price being my main criteria. 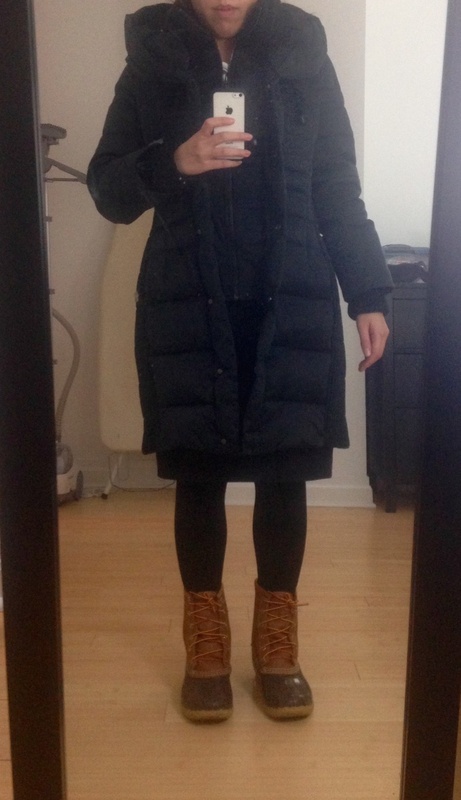 That coat was plenty warm for me, even in the brutal winter NYC had last year and remains in generally fine condition. I'd even just stick with it, were it not for the sticky zipper and the minor annoyance of a hood that doesn't stay up on its own. Sizing-wise, I tend to stick with a M in pretty much all down coats I've tried, for fear that the chest would get a little snug when I have a thick sweater on. 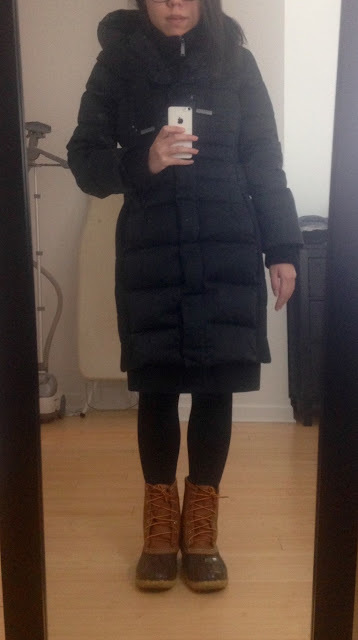 Keep reading behind the cut for my thoughts on my new coat. The Elie Tahari Paula has a lot of smart design features that keep out the cold. The knit cuffs at the wrist seal in warmth. It has an interior layer that zips up to a knit collar and keeps the neck and part of the face warm without the need for a scarf, The hood is also much better-designed than on my other coat, and will stay up on its own. It also has a detachable rabbit fur lining that is likely enough to keep one's head warm without a hat (picture of the hood up with the fur lining attached). This takes care of a lot of the "problem areas" with many moderately-priced down coats. There are some good-quality materials here, as there should be with a coat that started out so expensive! The filling is 80% down, which I think is a reasonably high proportion, though I'm not able to find information on the fill power, which is probably the more important measurement. That rabbit fur lining does feel lovely, though I know fur is not everyone's cup of tea. Flattering and slimming design (for a down coat, that is). I think this is especially apparent in the first photo above. The way the sides are designed, with a vertical quilted pattern to them, has a slimming effect, as much as is possible for a down coat. The slimming design also represents a possible problem: The way the sides are quilted makes the coat quite thin at the sides. It wasn't cold enough this past Tuesday to really notice whether that makes the coat less warm than, say, my other down coat. While my head, arms, and neck are nice and toasty, I can't guarantee that the rest of me is warm in a way that justifies the full price. My judgment on this was unreliable on Tuesday because I was coming down with a cold and feeling some feverish aches and wooziness, but the rest of the coat didn't seem as warm as I was hoping for. This isn't, surprisingly enough, the biggest issue for me because I just don't feel the cold that badly, but it is a potential issue. When it comes to whether this purchase was a good decision for me, only time will tell. The Canada Goose price range is absolutely off the table for me, anyway, so that wouldn't be the one I'd be comparing my new coat to.